Cyprian Ekwensi’s novel ‘Survive the Peace’ was premised, among others, on the disrupted family ties and social relations that emerged in Igboland, after the Nigerian Civil War. Those of us, who witnessed the war, albeit as kids, will confirm that things actually went awry: Brothers turned against brothers; most time, as they squabbled over resources that were, indeed, very scarce. Unfortunately, while in some cases, the enmity caused by the situation has petered out, in others, erstwhile harmonious relationships have been destroyed forever. From the current fireworks, ignited by the recent endorsement of Alhaji Atiku Abubakar, the presidential candidate of the Peoples Democratic Party, PDP, by the Ohanaeze Ndigbo, over and above the incumbent President Muhammadu Buhari of the All Progressives Congress (APC), it is obvious that, no matter the outcome of the elections, things will no longer be the same again. While the pro-Atiku groups do not see anything wrong with the Ohanaeze position, those in the pro-Buhari camp disagree vehemently with and, in fact, reject the endorsement. Those who want to dismiss the disagreement with a wave of the hand should be concerned that Barrister Uche Okwukwu, the secretary general of Ohanaeze, has endorsed President Muhammadu Buhari, obviously conveying the lack of consensus on such a serious matter. Passions are understandably very high at the moment with each group posturing sanctimoniously, as the moral beacon of the Igbo society. This is particularly the case with those who support the Ohanaeze President, the erudite Dr. John Nnia Nwodo who, in turn, sees himself, not without justification, as the repository of the sovereign socio-cultural authority, of the Igbo nation. Curiously, that is the source of the problem: his authority is socio-cultural, not political. The Ohanaeze leadership was never intended to usurp the role of political parties, to openly canvass for votes, in a purely partisan fashion. Those who take this line of argument have a strong point, for several reasons. Let’s face it: the poor infrastructure, absence of strategic national assets such as refineries, iron and steel complexes (in spite of the abundance of coal in the zone! ), etc did not just start, four years ago. By some coincidence, many high-ranking members of the Imeobi, the apex decision making organ of Ohanaeze Ndigbo have held sway in Nigeria’s political scene as governors, ministers, special advisers, chief execs of strategic federal institutions or top party men, even as infrastructure in the south east deteriorated and sunk into complete disrepair. If one may ask, did the miserable state of the Enugu-Port Harcourt Expressway just happen? It will be interesting to tell our people why that stretch of road has lingered in that condition since the restoration of democracy in 1999. What about the Sam Mbakwe International Cargo Airport in Owerri? Do we need a national referendum or United Nations supervised plebiscite, to provide the infrastructure required to achieve its designated status? Why have successive administrations before now not effectively tackled the indefensible under-utilisation of sea ports in the eastern corridor of the country? Did President Buhari or the APC stop any previous administration, from doing the needful? I think the time has come for us, Ndigbo, to be more honest with ourselves. 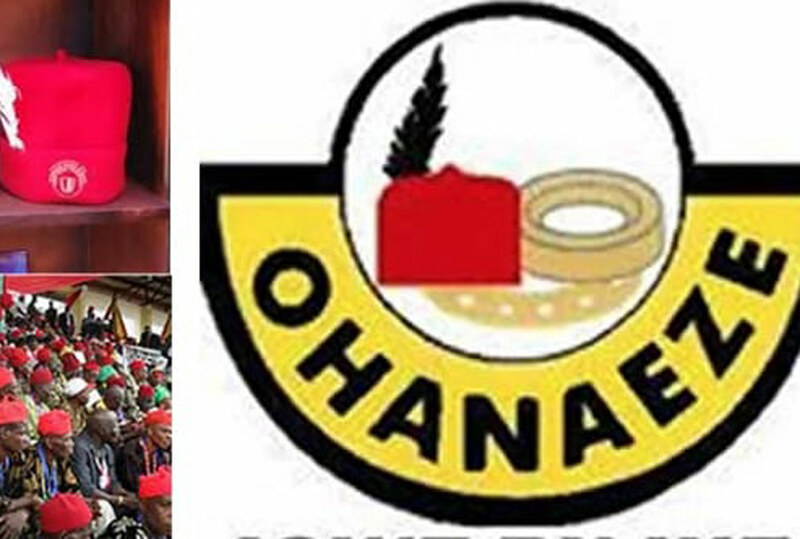 Another strong case that should discourage Ohanaeze from overt political exposure, is the fact that, by its structure and role, it interfaces with similar bodies in other parts of Nigeria. Granted that other socio-cultural organisations necessarily have their political preferences, these are astutely masked by emphasizing matters that affect regional interests and programmes, rather than endorsing individuals or political parties. One possible exception to this rule is the Afenifere which publicly supports any candidate or party. But they hedge their bets through what, some have argued, are public stunts, designed to obfuscate their overall strategy. While I do not necessarily agree with that position, the reality is that, head or tail, the Yoruba will always find a way of not losing out completely; it doesn’t matter if they scream to the top of their voices that the contrary is the case! I think they have mastered the art of not stacking all their (political) eggs in one basket! Are there lessons for the Igbo in this? Let us hope that Ohanaeze does not become a victim of such over-confidence. Should Buhari/APC win, and going by the demographics and the peculiar primordial determinants of electoral behaviour in Nigeria, nothing so far suggests that the party will lose, it is hoped that Ohanaeze will retain the moral fibre to present itself as a credible voice of the Igbo, thereafter. Political wisdom will dictate that institutions, like Ohanaeze, retain the credibility to act, on behalf of their groups, no matter the outcome of the elections. There are moments when people think that elections have been wrapped up, that the public mood, as expressed on social media or even dictated by opinion polls or public debates, have settled the outcome of elections. That is where false confidence can be disastrous. Let us hope that Ohanaeze does not become a victim of such over-confidence. Should Buhari/APC win, and going by the demographics and the peculiar primordial determinants of electoral behaviour in Nigeria, nothing so far suggests that the party will lose, it is hoped that Ohanaeze will retain the moral fibre to present itself as a credible voice of the Igbo, thereafter.